Manheim can make you feel like you have traveled back in time. This area has much to see and do with many Amish attractions for you and your family. While you take a Amish buggy ride, take a tour of Amish Country, or are just doing a bit of shopping, a toothache can come on and ruin your fun. Fortunately, there are plenty of high-quality modern dentists and specialists available to help you in your time of need. Turn to emergencydentistsusa.com when you need to find a dentist in Manheim, PA. Our team members have worked tirelessly to compile a list of local dentists and dental specialists so you can easily choose a dentist during your dental crisis. All you need to do is to check over the list, choose a dentist, and give them a call to set up an appointment. If you don’t have the time or just want some additional help, call our toll-free dentist finder hotline. Our team of trained associates are there to listen to you and your needs. After listening to you, they can work to help you identify the dentist or specialist near you. 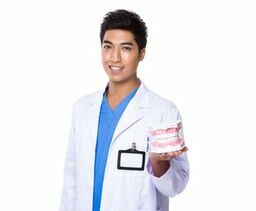 We go through the list and let you know nearby dentists and their hours of operation. After hearing your options, you simply tell us which dentist you want to visit and we will schedule your first appointment for you. We recommend that you arrive about 15 minutes early to your scheduled appointment to give you time to fill out any required paperwork. Bring your picture ID, insurance card, and any copayment you may be required to pay. If you are visiting Manheim, PA, you may not know what your options are when it comes to a dentist or dental specialist. The Manheim area has many dentist and specialist from cosmetic providers, pediatric specialists, orthodontists, and more. Typically, before you see a specialist, you will consult with your general dentist. He or she will determine if you need to visit a specialist. If they feel you need to, you will be referred to one. Description: Welcome to Zug Family Dentistry. Our office provides you with state of the art technology for treatment for your dental services. We always welcome new patients and work to provide you with a relaxed pleasant atmosphere. We are committed to providing you with information to help you make informed decisions on your oral health needs. We offer a wide array of dental services from exams, cleanings to full-mouth restorations. We work with most insurance companies and accept payments of cash, and most major credit cards. We look forward to providing you with high quality personal care. Description: Welcome to White Family Dental in Manheim. While here, you can expect to get quality care from our dental team. We are pleased to offer a wide range of high quality dentistry services to you. We do everything from cosmetic dentistry, general dentistry, implants, crowns, and more. We understand that dental health is important to your overall quality of life. You can rest assured we are focused on assuring your comfort during your visit. We look forward to seeing you and your smile. Description: Welcome to Albright & Thiry Orthodontics. Our goal is to make your orthodontic experience the best possible. Our team has board certified orthodontists who are constantly updating their treatment delivery making it more comfortable for you. We have flexible scheduling for those with busy lifestyles. No referral is needed to receive a smile evaluation for your child for free. We offer flexible financing options that are designed to fit your budget. We look forward to providing you the highest quality orthodontic care. Tooth pain is the first sign that you have a problem. If you take care of the issue at the first sign you can potentially prevent future complications. Tooth pain that lasts an hour or longer needs to be treated as quickly as possible. Any pain you experience that is due from an accident should be first treated by a nearby ER to rule out any other injuries. Before visiting a dentist, take the time to do your research. Verify that the dentist’s licenses and credentials are all active and up to date. You can do this by visiting the Pennsylvania Dental Association website and performing a search of the dentist’s name.